will be held Saturday, July 16th at 11:00 A.M. at the Power of Faith Deliverance Church on Ashby Street in Americus with Prophetess Linda Mathis officiating. Burial will follow at the Oak Grove Cemetery. 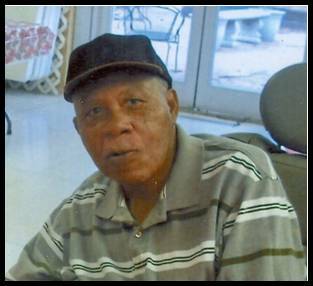 Mr. Mathis died on Sunday July 10th at the Phoebe-Sumter Medical Center in Americus. Mr. John L. Mathis was born on September 1, 1944 in Sumter County, Georgia to the late Sallie and C.P. Mathis. He was married to the late Gertrude Mathis. He was preceded in death by one brother Minister Ike Mathis. Mr. Mathis died on Sunday, July 10, 2011 at the Phoebe Sumter Medical Center in Americus, Georgia. Left to cherish his memory are his four sons: Johnny Mathis, Jr. “G-Moe”, Reginald “Poochie” Mathis (Fenita Reddick), Joel Mathis and Dean Mathis all of Americus, Georgia; one sister, Cassie Weston of Atlanta, Georgia; one sister-in-law, Prophetess Linda Mathis of Americus, Georgia. A host of other nieces, nephews, relatives and friends also survive.